Ḥorvat Ḥani (Khirbet el-Burj el-Haniyeh) stands upon a hill, 154 m above sea level, on the western fringe of the southern Samarian Shephelah. The hill slopes moderately to the east, south, and west, and drops steeply to the north towards one of the northern tributaries of Naḥal Beit ‘Arif. The site was first surveyed by C. R. Conrad and H. H. Kitchener during the Survey of Western Palestine. They discerned two buildings. In 1932 the site was visited by D. C. Baramki of the Mandatory Department of Antiquities. Another survey was conducted by I. Finkelstein in 1978. 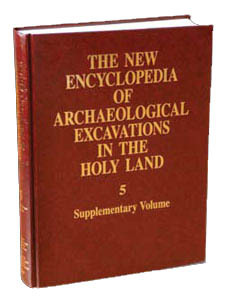 A comprehensive survey was carried out by Z. Safrai and S. Dar in 1983 on behalf of Bar-Ilan University; the Christian nature of the site was not noted during that survey. The site appears on the Lod Survey map (R. Gophna and I. Beit-Arieh), which mistakenly identifies building B (see below) as an oil press and building A as a farmhouse. In 2002, the western side of the site was damaged during the widening of a road. Subsequent to this damage, a salvage excavation was conducted by U. Dahari and Y. Zelinger on behalf of the Israel Antiquities Authority.